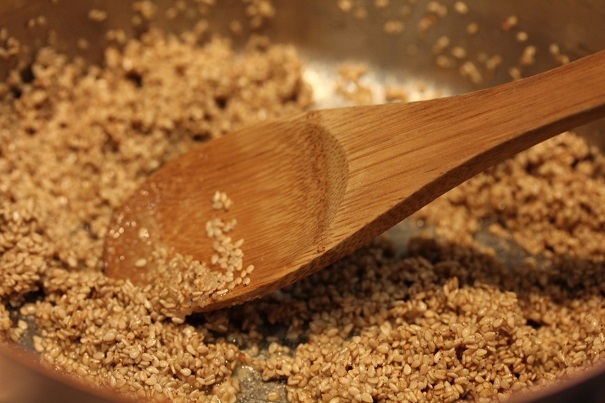 Melt butter in small frying pan and add sesame seeds. Heat at medium heat for 4-5 minutes until toasted. Add sugar. Place popped corn in two baking sheets with sides and drizzle sesame mixture over popcorn, mixing well with hands. Add salt to taste and serve. Don’t add more butter than this: it will weigh down the seeds and they will all fall to the bottom of the bowl.